dance.net - Mint Green Highland Dance Jacket bust 28 (10248539) - Read article: Ballet, Jazz, Modern, Hip Hop, Tap, Irish, Disco, Twirling, Cheer: Photos, Chat, Games, Jobs, Events! 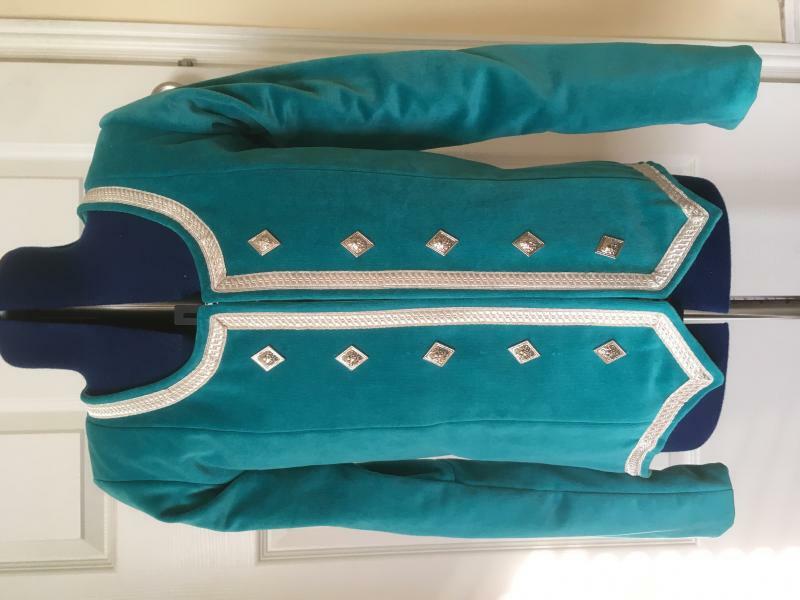 Im selling a mint green highland dance jacket. Its in perfect condition. Measurements in inches: bust 28, waist 26, upper hip 30, back from neck to point 20, sleeve length 22.5. Asking $150 usd plus shipping.